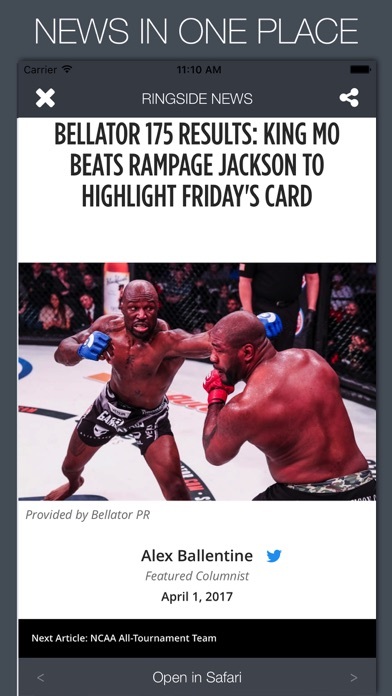 Welcome to Live Ringside news, the #1 choice for all MMA, Wrestling & Boxing news. The app has been developed from a love of all 3 sports. 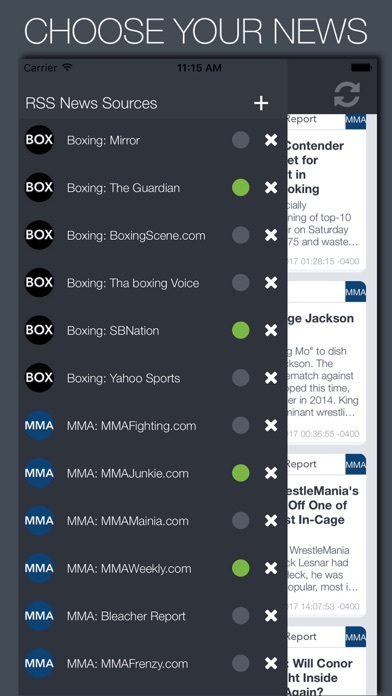 We've compiled the top news sources of each sport and combined them into 1 easy to digest news feed. Within the app, you can: - Enable / disable news feeds - Merge sports news into one feed - Enable a single, multiple or all sport news. - Easily read full articles Pick and choose from our selection of 28 news sources, or easily add your own from any website we've missed. If you think it should be added as a default option, let us know in a review. News sources include official sites (wwe.com, ufc.com), news outlets (ESPN, Yahoo! ), fan sites and many others. 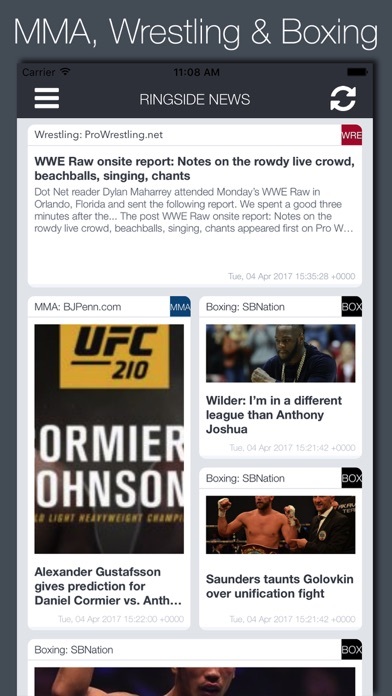 Disclaimer: Live Ringside News does not have an association or partnership with, sponsorship or endorsement by any company listed within the app (including licensing or other programs). All registered trademarks or trademarks are property of their respective owners.